From the 8th to 16th October 2016 the Old Town of Hastings, East Sussex is celebrating & commemorating the great Battle of Hastings that took place 950 years ago exactly on 14th October 1066. 1. Come dressed as an Anglo-Saxon or a Norman warrior and join the fight for a feisty procession. Friendly weapons of the 11th century variety allowed. 2. Fire breathers, bonfire societies, and drummers join forces to light the East Cliff beacon and rumble through the old town wielding burning torchlights, culminating in a gigantic 🔥Bonfire on the beach, and a spectacular 💥 Fireworks display above the black skies of the English Channel (perhaps even visible from France over 20 miles away). Also…. 1,066 people will be taking on the 17 mile foot race following the 1066 country walk from Pevensey (where King William landed) to Battle (site of his famous victory). 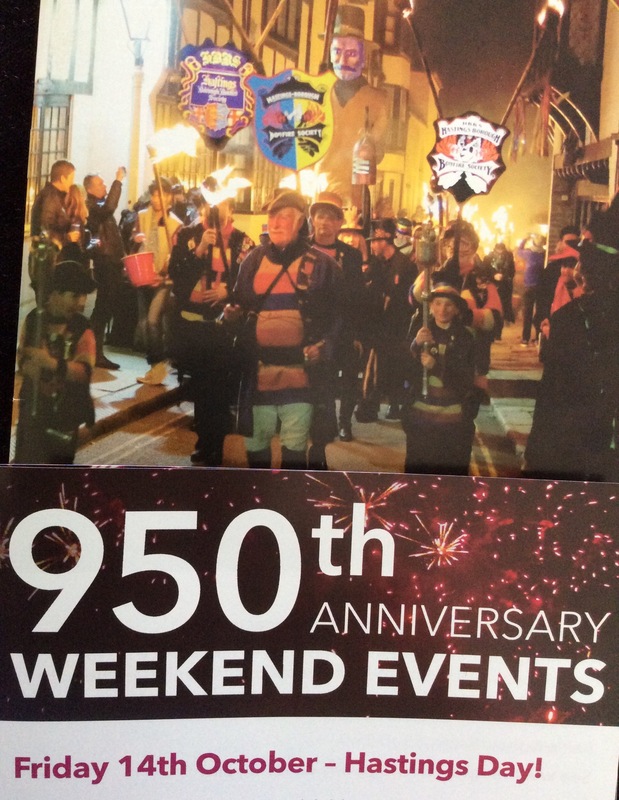 This 950th anniversary will be an eye-popping (sorry King Harold) momentous occasion – its been sitting in the calendar waiting to explode onto the scene for many-a-year. Now we’re warming up because here it comes and Hastings Old Town (the most extraordinary place in the world) has it completely covered. Prepare to be amazed at what a town can do!